Join us this Sunday, January 18, for our first show of 2015! We hope you had a wonderful holiday season and a happy new year! Time for our first show of 2015 – this Sunday! We look forward to seeing all of our favorite vendors – and you – after the long holiday break. It is perfect time to beat the cold hunting for some great new music finds. Remember, the show is from 9 am – 3 pm and is always FREE! It’s Valentine’s Day right before next month’s show, so this Sunday is a good time to find that romantic, memorable song that you shared with that special someone. There might even be a special love story amongst our vendors. Here is one of this editor’s picks and comes with an update about the group. One of the most highly successful 80s New Wave bands from Britain, Spandau Ballet, had a hit in 1983 that put them on the pop music map forever and made them superstars. This song reached Number One in 21 countries and is the soundtrack for many a romance and wedding (and, we suspect, a baby or two). After a 19-year breakup, the boys reunited in 2009 for a widely successful tour but didn’t make it to the States. That is all about to change much to the joy of their fans. The group will be touring in the U.S. for the first time in over 30 years, including an appearance at the 9:30 Club in Washington, D.C. on April 28. Spandau Ballet also produced a fabulous rock doc (and is also the name of the tour), Soul Boys of the Western World. Even if you aren’t fan of these New Romantics, their story will surprise you. It’s a great slice of a social and pop music history but more importantly, it is a tale of friendship found, lost and found again. Here is a “True” love song! Holiday Show Wrap Up and New Dates for 2015! December was a great show with tons of shoppers and vendors celebrating the season! 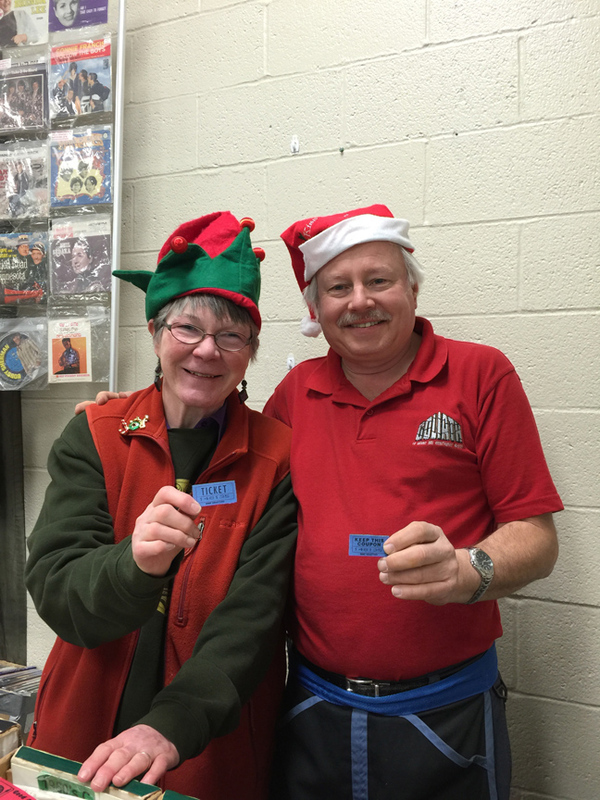 We had a gift certificate giveaway and one of our vendors, great friend of the show and announcer, Derek Shaw (with Janet), won the draw! We were even treated to a serenade from Mr. Herb singing along to a vintage Cardinals tune. As we all agreed, they don’t write them like they used to! You can see the video on our Facebook page. Mr. Herb has a beautiful voice and a great spirit! Make sure to check out our ABOUT page for the new 2015 dates . We look forward to seeing you there!